For a long time, travelers overlooked Tucson. Those visiting Arizona from out of state had chosen to spend their tourist dollars elsewhere in more sparkly sounding spots, breathtaking locales like Sedona, Scottsdale, and Flagstaff, home of the Grand Canyon. If Tucson (pronounced “too-sawn”) was known for anything to the outside world, it was as the home of the University of Arizona. But that has changed. Indeed, Tucson’s gems, which, until recently, have been known only to locals and a select few annual wintertime renters from the north known as “snow birds,” are many. From world-class spa retreats to top-notch dining and gawk-worthy natural attractions, there is no shortage of fun to be had there, anytime of the year. Winter, though, with daytime temperatures hovering in the mid-sixties, is definitely a great time to go. Geographically, Tucson is known for two features: its mountains and its proximity to Mexico, only 60 miles away. Surrounded by five minor mountain ranges, it rests on an alluvial plain, at 2,643 feet, in the Sonoran desert. The nearness to our southern neighbor gives Tucson a delightfully Mexican flare, in its adobe houses, population (over 35% of Tucsonians have Mexican heritage), and, of course, its food (the chimichanga was reportedly invented there). With nearly a million residents in its metropolitan area, Tucson is regarded as Arizona’s second city. While Scottsdale and Sedona may be more widely known for their spas, Tucson certainly knows how to relax. The city is home to two of the country’s most established wellness resorts, Miraval Arizona Resort & Spa (circa 1995) and Canyon Ranch (circa 1979). Newer health-focused sanctuaries abound, too, like Loews Ventana Canyon Resort and the Ritz-Carlton Dove Mountain. To earn that rest, consider a hike through the nearby Saguaro National Park, home to the iconic saguaro, the country’s largest cacti. You can learn about it and all other things desert at the perpetually impressive Arizona-Sonora Desert Museum. Put your knowledge to the test at the White Stallion Ranch on a guided horse tour through the desert (massages are also offered). It seems like there are as many superb restaurants in Tucson as there are roadrunners. For some Old World feel with forward-thinking fare (think New Zealand lamb lollies in tzatziki sauce), check out Agustín Kitchen, tucked away in Mercado San Agustín on the city’s west side; it often has live music. DOWNTOWN Kitchen + Cocktails offers food from James Beard award-winning chef Janos Wilder (try the bacon-wrapped quail). And Barrio Bread, a bakery which began in a garage, attracts legions of admiring fans. At the Good Oak Bar, across from the iconic Hotel Congress, you can sample a wide variety of agave-based spirits and local and regional whiskeys. While in town, make sure to get some of Hamilton Distillery’s mesquite-smoked Whiskey Del Bac Dorado. The award-winning local distillery grew out of a furniture company. Try it at Scott & Co. in their “saladito” cocktail: Del Bac Clear, mezcal, honey, lime, and cayenne tincture. Beer lovers can find happiness at Borderlands Brewing Co., a local favorite with a penchant for live music and community engagement, or Public Brewhouse located in the building that used to house Hamilton Distillery and another live music spot. You will sleep well in Tucson. History buffs will get a kick out of the old but luxurious family-owned Arizona Inn, a Tucson institution first opened in 1930, now on the National Register of Historic Places. 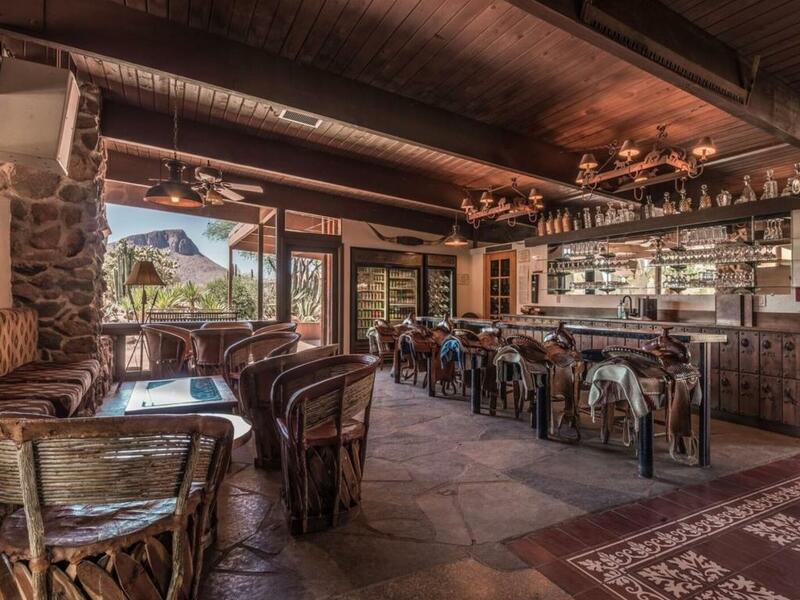 For a getaway, try the Tanque Verde Ranch, located at the base of the red-craggy Rincon Mountains. Until April, the ranch is offering glamping, upscale safari-style tents featuring wood-burning stoves, en-suite bathrooms and actual beds. If staying directly in the city, there is the Big Blue House, a quirky 3-star, 7-room homey inn and the similar Royal Elizabeth Inn.